Bo Nee, who wholeheartedly believes in superstitions, meets a man who believes in science and mathematics. She has to find a man born in the Year of the Tiger according to her fortuneteller, and soon after she gets entangled with a man who has never shown any interest in women or even dated one. This is a love story that follows an improbable couple that tries to reconcile their differing outlooks on life by overcoming superstitious beliefs and proving that destiny is not preordained. ~~ Adapted from the webtoon series of the same title. You should be warned that this is a full on RomCom, so if you're not interested in romance this is definitely the wrong drama for you. If you are a romance fan, even a slight romance fan, then this is a must see! Not because of the story, which follows the standard kdrama romance formula, but what sets this romance apart is the chemistry between the two leads, and that is 100% due to the breakout lead performance of Ryu Joon Yeol as Je Su Ho. He is perfectly cast, and PERFECT is not an exaggeration. 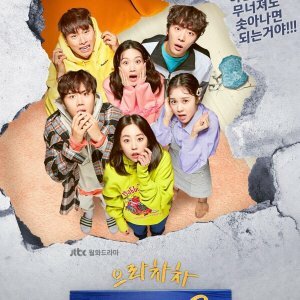 I think the first two episodes are boring because they focus on introducing the plot, and on Shim Bo Nui being weird, but as soon as we get to see more of Su Ho the show became instantly addictive. Hwang Jung Eum has lucked out with many great pairings, but this one is my new favorite. She relies on her usual perky personality, which can be annoying, but it really fit the quirkiness of this character well. I also liked that even though the character was kooky, and irrational, she was also smart, and not just a doormat. Bo Nui is desperate, and self destructive, without losing her charm, which makes her extremely complicated. They both nailed the balance between silly humor and more emotional scenes. They also looked good together, even with her HORRIBLE outfits (I still don't understand the hospital gown couture). My only complaint about the pairing is their kissing scenes... UGH! Joon Yeol gives everything to those moments, including his beautiful lips, and she just presses her lips to his with no effort. It pisses me off too much not to mention it. The rest of the cast is also amazing. Gary Choi is a great 2nd lead character. I like his dynamic with the leads, and that he's not a villain-type. I've never seen Lee Soo Hyuk in a drama before, so I wasn't initially impressed, but he grew on me quickly. Amy's character was not as likable, but I still think Lee Chung Ah did a great job. The office team is full of great smaller characters, with their own cute little stories (I loved the office bet moments), but the supporting character MVPs are BFFs Dal Nim and Ryang Ha. They really were hilariously cute together, as well as perfect support for the leads. Some of my favorite moments in the show are their banter. They are the perfect comedy relief when the rest of the story gets less humorous too. I really don't think there are any weak acting links in the cast, and it's the cast that drives this show. I am annoyed by the lack of development for Jung In Ki's role, but that has nothing to do with his acting, which I think was spot on, that's the writer's fault. That leads me to this dramas biggest weakness, and that's the story. Not only is the premise ridiculous, but how it's handled left many questions unanswered. I think that's part of the charm of the story, not having everything defined as 0's and 1's (a major reoccurring theme), but it is also frustrating. Then there are other storylines that are introduced... a missing father... the chicken guy... disgruntled ex employees... but those stories just aren't ever as interesting as the main love story. Even the game development story is only slightly intriguing, and just another brilliant means for them to interact. So I thought the story was pretty average, but I was still a fan of the writing. What I thought the writer did well were actually what the characters said, or how they interacted with each other. Ju Ho has some brilliant moments, and unless he was totally created through improv, the writer deserves credit for making one of my favorite drama characters EVER. The music got better. I wasn't initially a fan, but I started liking some of the later songs more. What I really love is how they incorporated the song "Sad Fate" into the story. I thought that was very well done. Now for the real reason behind me giving this drama a 10, and thats the rewatch value. Of course I gave this a 10 for rewatch value, because I am already rewatching, and I'm already up to episode 7 o.O!!! I've never done that with a drama ever! So overall, this drama may not be perfect, but Ryu Joon Yeol was perfect, and that earns this drama a 10 score from me. I can't believe he's only been in two dramas!!! 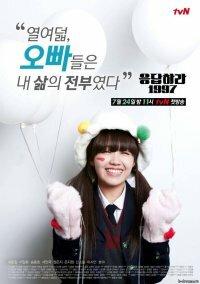 Obviously I now have to watch Reply 1988! I know that the next drama he's in will probably have me doing a countdown 'till the first episode. If you're reluctant to watch, just please remember not to judge this drama by it's first couple of episodes. Once this show gets on a roll it is continuously charming until the very end. There are also some great themes about love, life, and "fate" in it that I appreciate. Oh, and I truly appreciate my new ideal kdrama namja chingu... RJY. I have a feeling I'm not alone in feeling that way! 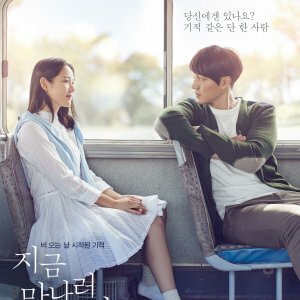 first impression: First two episodes so-so, I was like ok, same goes when I saw the male lead, I was not that interested of him. it will make you smile like an idiot for an entire episode don't worry it's normal, it will give you butterflies in your stomach,it will make you cringe and giggle for the main couple, it will make you re-watch HIM. yes I'm talking about him, the main character Je SooHo. he is way tooooooooo adorable! best thing about this drama? Is it will make you think that guys act like girls too when they're in love. 15 to 16 episodes felt like the first two episodes to me though I love how it ended it was beautiful. 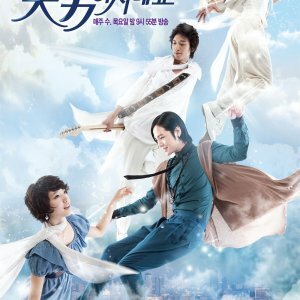 I would lie If I'd say this drama is perfect, it has it's bumpy road, This is a KOREAN DRAMA so expect it will be cliche. lol. Highly recommended if you're into romcom! 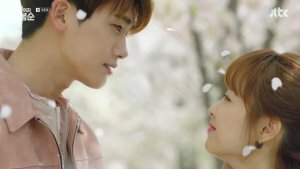 recommending it to everyone I mean you are missing a lot of your korean drama journey if if you wouldn't meet the most adorable character/male lead in dramaland. RJY: At First look he isn't that handsome to me. but lol. there's something about him that as as you get to see more of him you'll get to fall even harder. He is very charming and a great actor, I don't think any actors could pulled off Je SuHoo's character beside him. HJE: I don't understand why others didn't like her, I was like what is wrong with you people she is basically the main reason I started it! 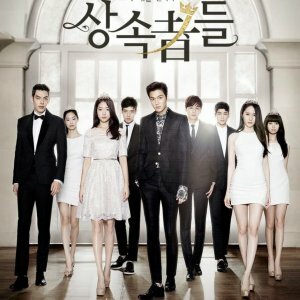 Overall this drama is really good! WATCH IT LIKE RIGHT NOW :) Technically I would have rated it 8.5 to 9 but Je Sooho is way too perfect so I ended up giving it 10! someday you'll understand me. mouhahahah. WARNING: Je SooHo is a one of kind character. you'll miss him for sure especially his pajama moments at night!